Between green tea, chai tea, black tea and every tea in between, we long to steep a bag of tea and take that first delicious warm sip. Another thing we love is sharing how products sold in our stores are made! To date, we’ve talked about our Maple Syrup and Honey, but when deciding where we should take this series next, bagged tea was one of the first that came to mind. Let’s brew! Fun fact: no one intended to create tea or tea bags, both were created by accident. Tea was born sometime around 2737 BC when a Chinese emperor noticed a green leaf blown into a pot of boiling water. Seeing the changing coloring, he decided to take a sip and loved the taste. Tea took off quickly after that and was packaged and sold commercially across the world in tin cans afterwards. This didn’t change until a merchant in New York City tried thinking of ways to cut sampling costs around the late 1800s. He thought taking tin cans out of the equation would be a great way to cut production and shipping costs, so he sent his tea in hand sewn silk bags instead. Since this hadn’t been seen before, customers were slightly confused and threw the whole bag into hot water. Tea lovers were enthralled with the easier steeping process, and the merchant began getting requests to produce more of these bags. By 1904, tea bags were sold commercially. We won’t tease you any longer, here’s how our GreenWise Tea Bags are made! Step 1– Our tea leaves are sourced to create the absolute best blend after they’re steeped. The delicious flavoring in your tea starts with the tea plants. To give tea plants the best growing conditions possible, they need a lot of rainy weather! For this reason, they’re normally grown around three years in tropical and subtropical climates all over the world before they’re harvested. The plants can grow up to 50 feet, but most are left around waist height so they’re easier to harvest when the time comes. 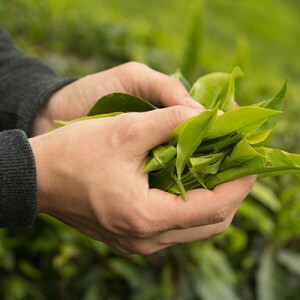 Step 2– After the plant is ready to go, tea leaves are plucked by hand and sorted to remove stems and twigs. Step 3– The leaves are taken to a tea factory and withered to lower the moisture. This needs to happen so the leaves can be rolled without flaking. Step 4– The soft leaves are transported into a machine that breaks down the leaves into smaller pieces. Step 5– This is where the flavor of the tea levels up! Unless you’re drinking a green or white tea, teas need to oxidize so their flavoring can truly develop. Leaves are laid out and kept at temperatures between 80 and 85 degrees. 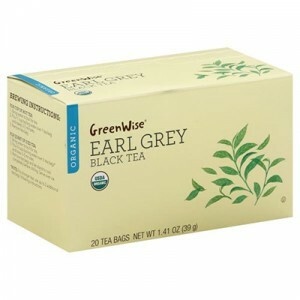 Black teas are fully oxidized, maintain a reddish-brown color and have a bold flavor. Step 6– Heat is quickly added to dry the leaves below a three percent moisture content and stop the oxidation process. Making sure that an even drying process has occurred will make sure the tea stays good for a longer period of time. Step 7– Tea bags are packed with tea and sealed before being placed in their boxes and sent to our shelves for you to enjoy! Not only do our GreenWise bagged teas taste amazing, they’re also USDA organic and certified organic by Quality Assurance International. Which kind of tea do you normally pick up? Let us know on Facebook, Twitter and Instagram!